Outdoor entertaining is a fun way to gather with friends during the summer months. 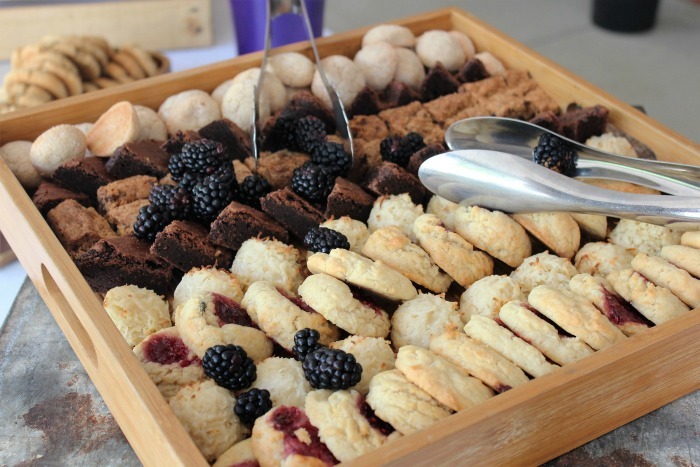 And no party would be complete without a dessert table with all your favorite sweet treats. But how do you make sure that the desserts on the summer dessert table are those that melt IN your mouth and not on the table? Keep these handy tips in mind for a fun outdoor dessert table that an take the heat. What to serve on a Summer Dessert Table. Just because the temperatures are high does not mean that your desserts have to be served inside. There are lots of foods that will stand up to the heat in a summer satisfying way. Instead of your standard fare of frosted cupcakes, ice cream cakes and cheesecake recipes, think more in terms of these heat tolerant sweet treats. Serving desserts outside just needs a bit of preparation and keeping a few cooking tips in mind when you decide what to serve. Fruit is fresh in the summer and the selection is amazing. Fruit pies and bars hold up well to the heat and taste right in season, too. 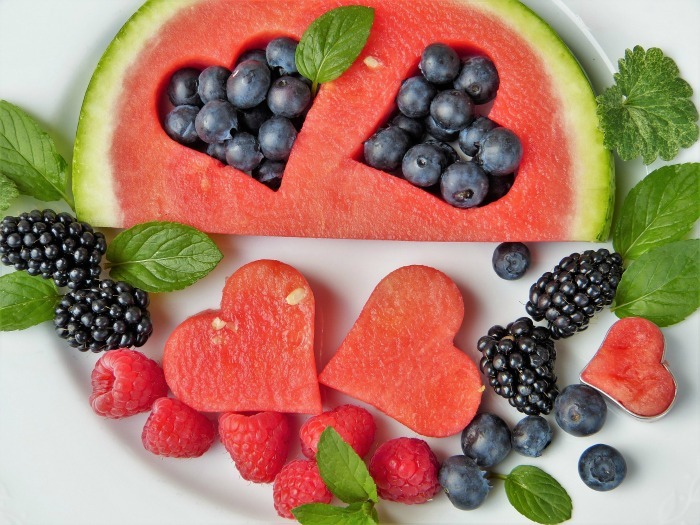 Fruit platters, slices of watermelon and other fruit desserts are the perfect choice to end the meal and be light enough for a hot summer day. Try one of these amazing fruit desserts. 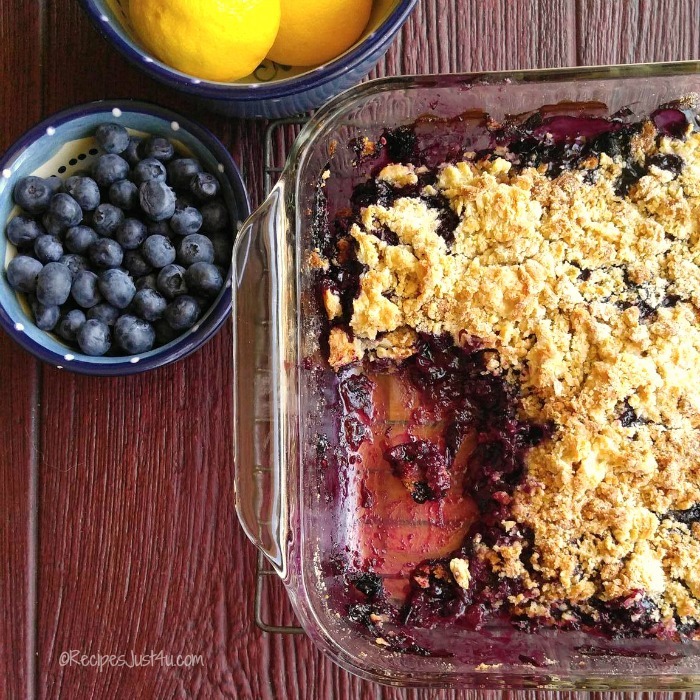 This blueberry cobbler has a home made buttery crumble topping and fresh blueberries for s tasty and tart summer dessert. I love blueberry season! A summer dessert table would not be complete at any summer party at my mom’s house without her summery strawberry short cake. Just bake the biscuit layers and make the filling ahead of time and allow guests to assemble when it’s time to heat. 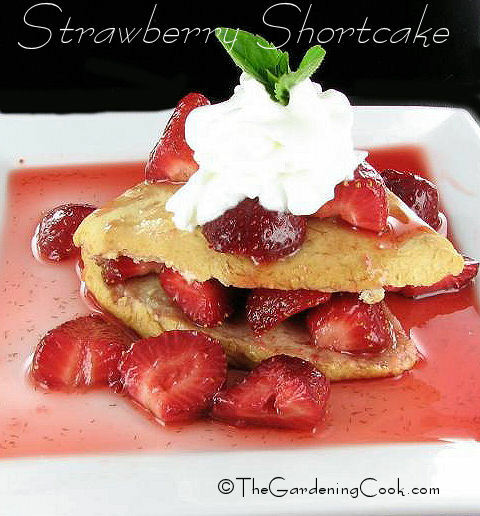 A home made short cake made with your own biscuit layers is SO WORTH IT for the flavor! You can also assemble it and bring it out when the guests start enjoying the other desserts if you want to serve it whole. 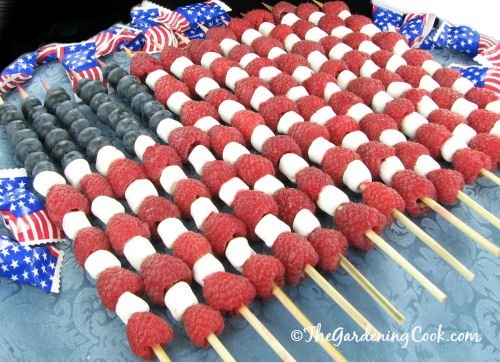 Any fruit on a platter is great for a summer dessert table, but this fun Patriotic flag is perfect for Memorial Day or the 4th of July when you want to celebrate the nation. Just thread raspberries, mini marshmallows and blueberries into bamboo skewers for a fun dessert is very easy to serve. 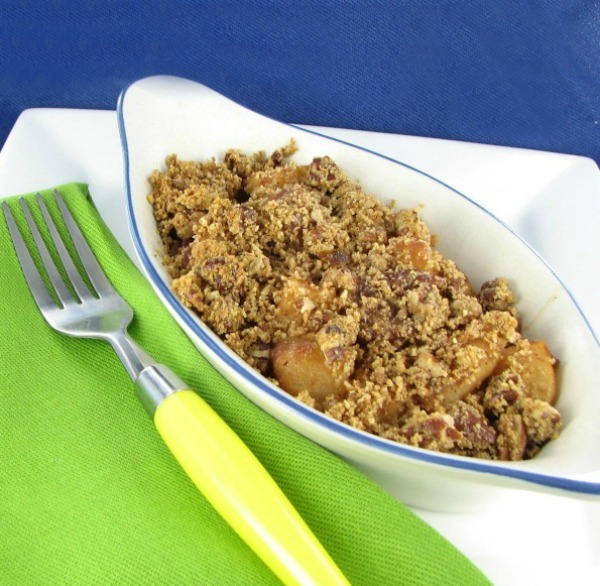 Another easy to serve summer dessert is an apple and pear crumble. It’s tart and sweet and has a super crunchy topping. 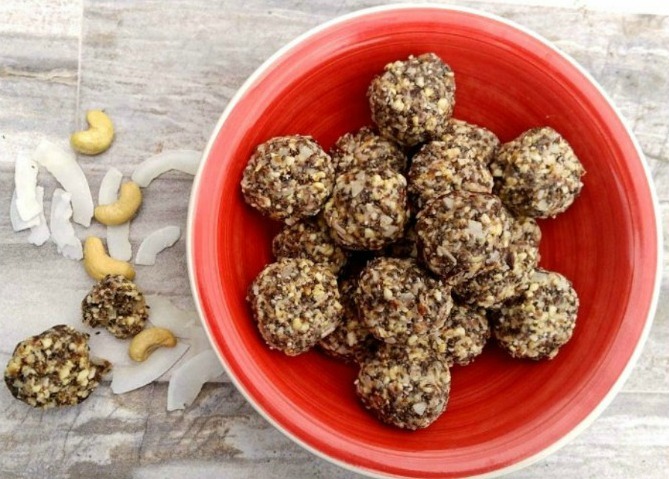 I love to serve energy bites on any dessert table, but they are particularly good for a summer table. They are easy to make, bite sized and super tasty. They keep their shape well and aren’t messy. Plus, most energy bite recipes are very healthy and the kids won’t even know that they are eating something good for them. If you are serving sweet drinks and desserts, covered containers will keep them intact and also keep away the flies. 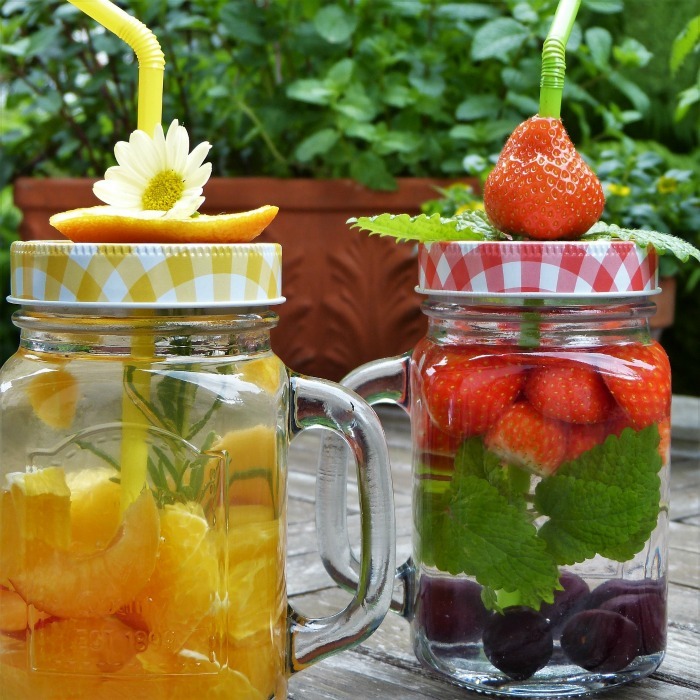 Mason jars are perfect for this use! 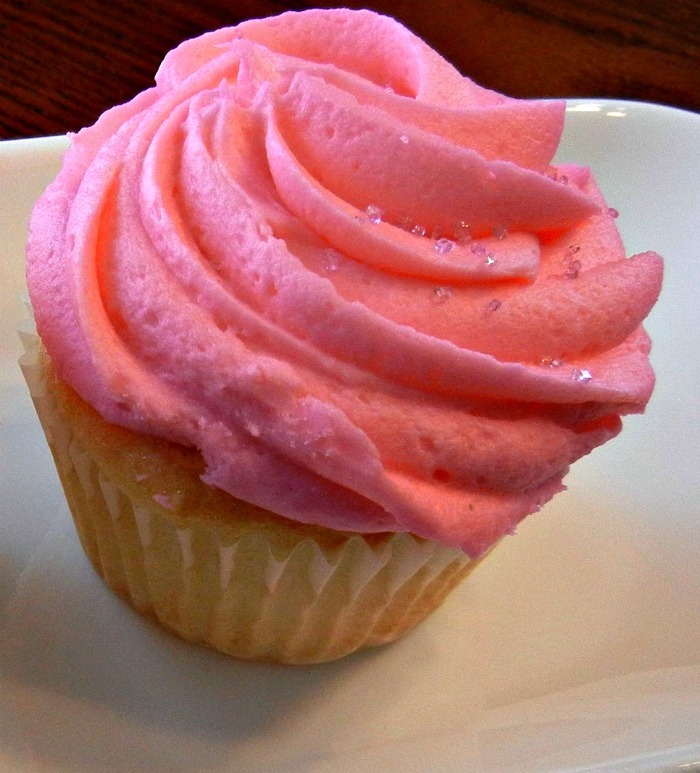 Frosting is yummy and makes the perfect topping for cakes, cupcakes and some bars. But if you put those cupcakes out on the table with the sun shining down, those fluffy mounds will turn into a soft and gushy mess by the end of the party. Instead, choose desserts that have rich filling ingredients that give a tasty dessert without the need for extra icing. How about one of these ideas, instead of frosted cupcakes? 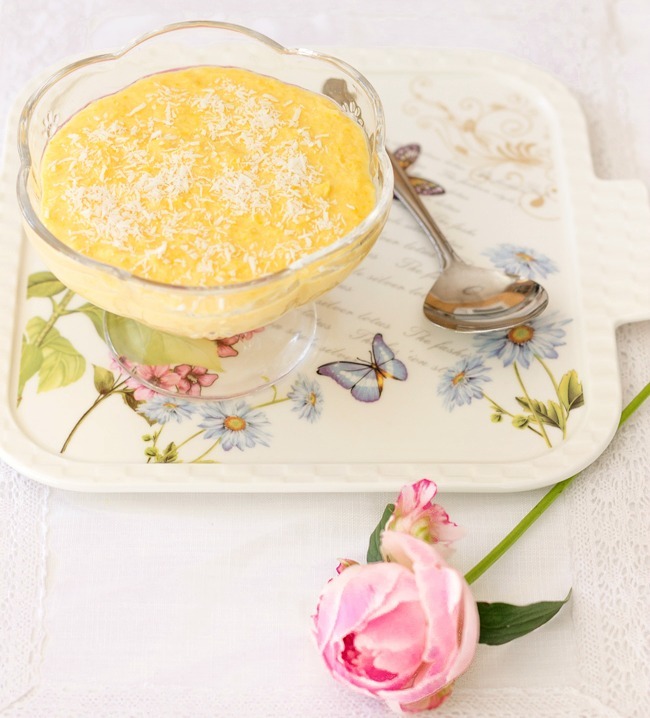 This Sweet Corn and Coconut Pudding has a creamy texture made from sweetened condensed milk, fresh coconut and summer fresh corn kernels. Make it in a big bowl and place on the table in individual plastic containers for an easy to eat and creamy dessert that won’t mind the heat. 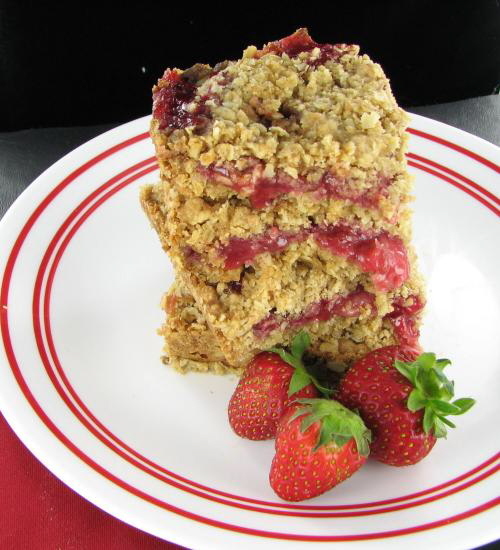 These delicious strawberry oatmeal bars have a yummy fresh strawberry filling and crumble and crust made from brown sugar, oats and whole wheat flour. They hold up well in the eat and have a summer fresh taste. 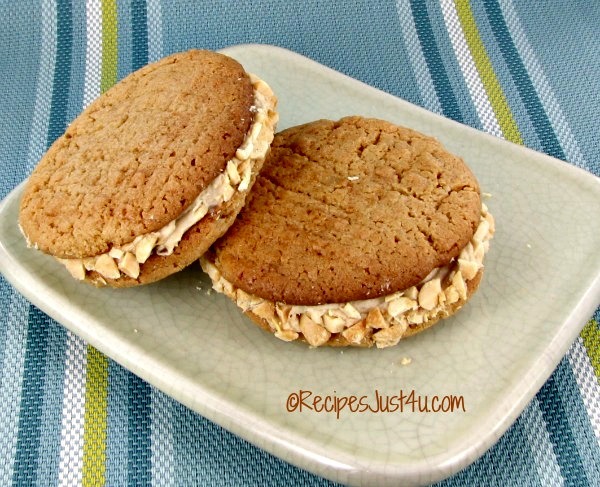 These jumbo peanut butter sandwich cookies takes the frosting from the outside where it might melt easily and puts it inside two jumbo cookies. This makes it an easy to eat and satisfying dessert for those with a real sweet tooth. Unless your cookie dough is over loaded with chocolate, most cookies will stand up well to the heat. They are also easy to eat. Lay out a big platter of cookies and just have some napkins nearby so that people can serve themselves and you won’t need to worry about plates and silverware. 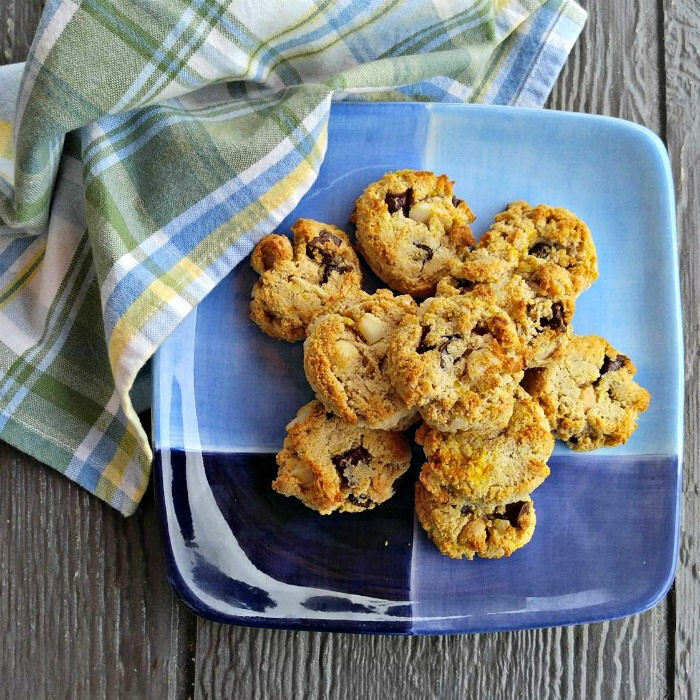 If you are looking for some ideas, try one of these cookie recipes. Your gluten free eating guests will love that these orange macadamia nut cookies have no added wheat flour but are still super tasty. Even your party guests on a normal diet will love the flavor of these easy to make cookies. 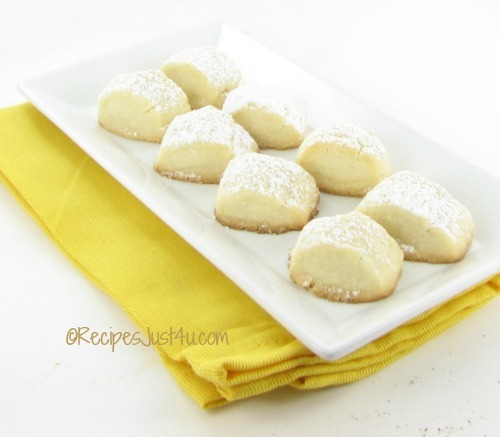 In spite of the name, these melting moments cookies have a shortbread style dryness to them that makes them perfect for outdoor summer dessert tables. The little pillow shapes hold up well to the heat and are big crowd pleasers. 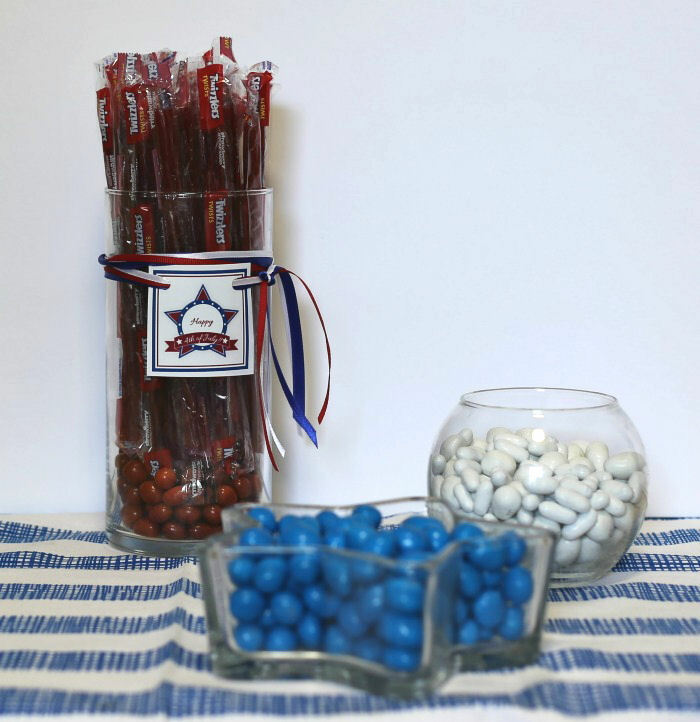 If you are having a summer party for Memorial Day or the 4th of July, the kids will adore these DIY candy jars. They are easy to make and come together in just 15 minutes. See the tutorial here. Unless your summer temps are on the very mild side, there are a few foods that probably won’t make the cut when you are deciding what to put on your summer dessert table. 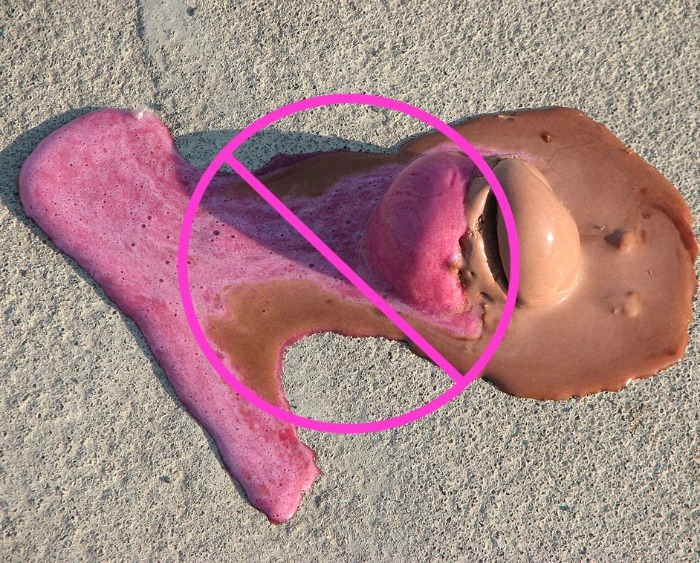 Ice cream is a definite no no unless you are planning on serving it as the guests eat it, and even a candy station might be off limits because of the heat which could melt the chocolate. Other types of less melting types of desserts will stand up better. 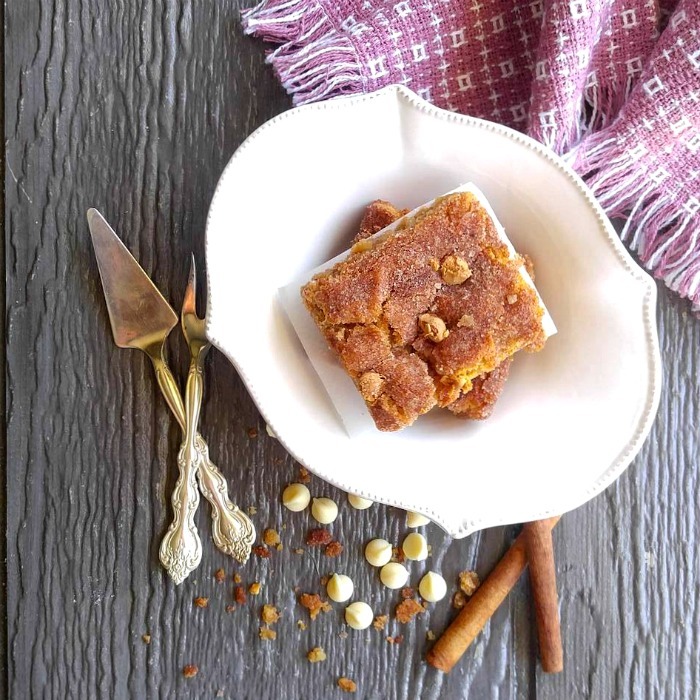 These snickerdoodle blondie bars have a firm topping and crust that holds up well in the summer sun. They are very easy to make and your guests will love them. 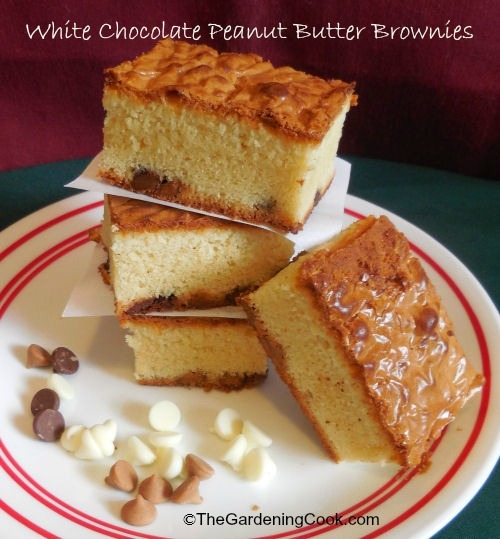 These white chocolate peanut butter brownies have a compact and firm shape that holds up well in the heat and is easy to eat. Your party guests will love them! Don’t be in a Hurry To Get the Desserts outside. You can set up an area for the desserts ahead of time, but don’t be in a hurry to get the desserts on the table. There is usually a lot of time in the early hours of the party when the main course is being prepared and served. If you load your dessert table early, kids will be in it and won’t eat the main meal as much and it will give your sweet treats a chance to be ruined by the sun. Keep them inside and then load the table closer to the time for the actual dessert course. 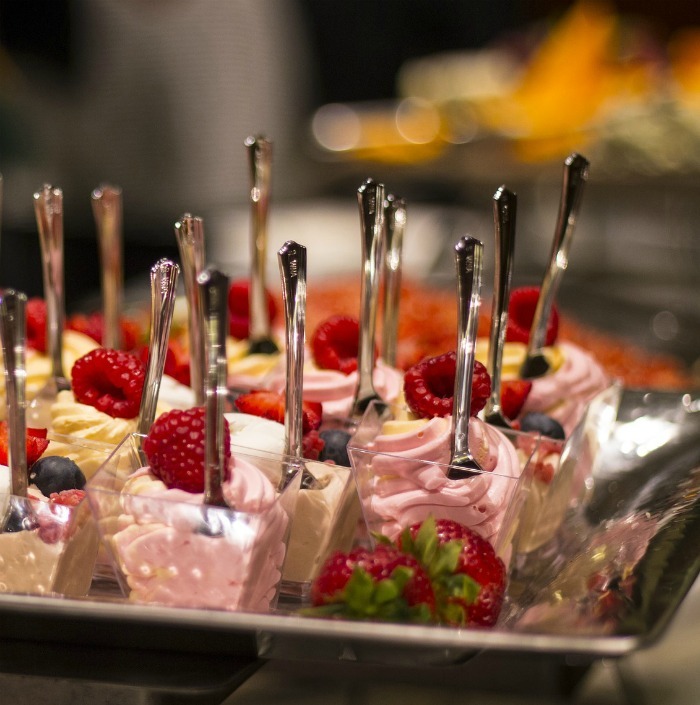 Small plastic serving dishes with individual desserts in them, complete with silverware will make the heat factor less of an issue and will make them easy for your guests to eat and enjoy. This idea works great for puddings, iced desserts and other soft ideas. Mason jars also work well for parfaits and other layered desserts and small condiment cups are great for light bites of bigger desserts. Slice some fresh summer berries, add a small fork and have some whip cream sitting in ice handy to top the fruit as guests help themselves! If your dessert table is sitting in the middle of the lawn with the sun shining on it, you are just asking for a table full of melted desserts. 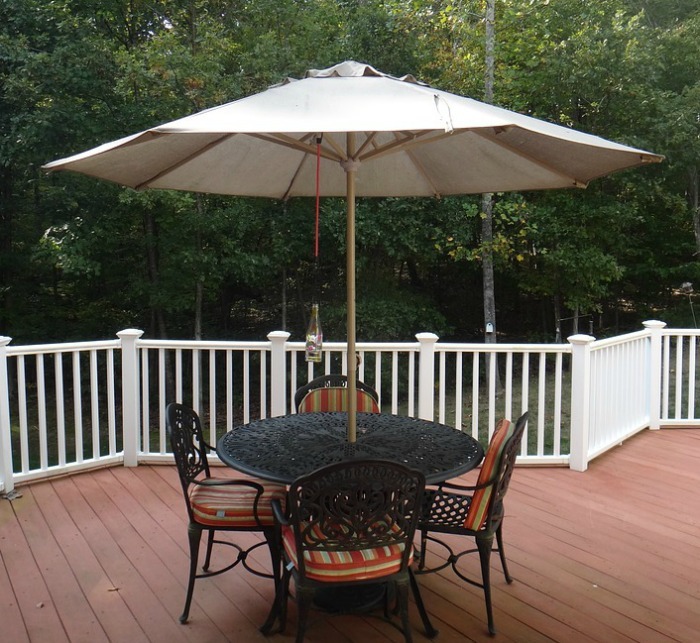 Now is the time to use that patio table and umbrella. 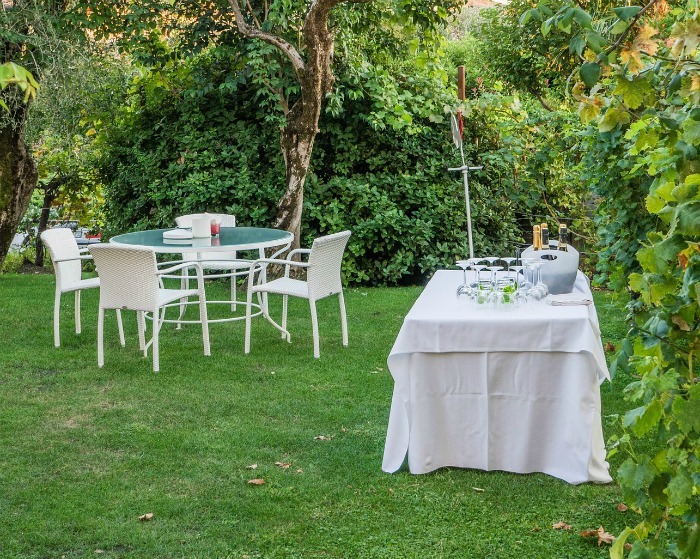 The shade of the umbrella will keep the food cooler and it will be less likely to melt and will also make it cooler when guests serve themselves. 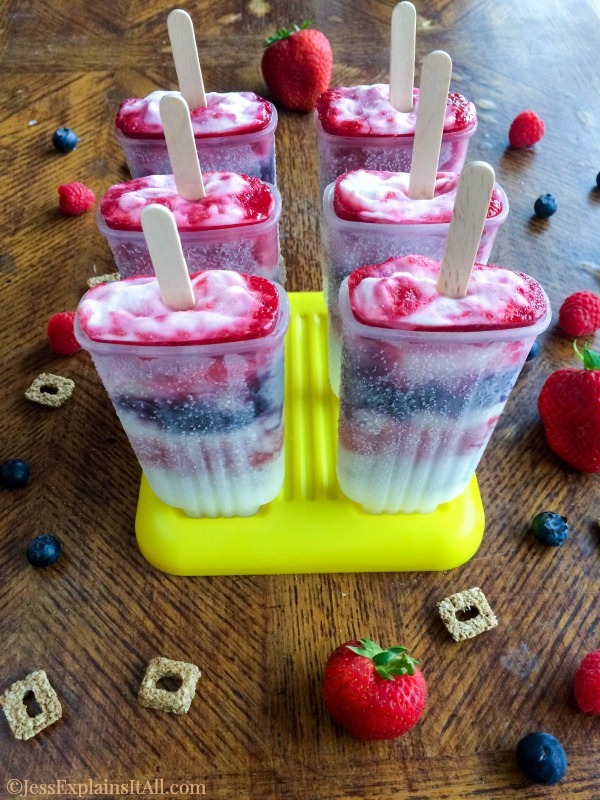 You can still serve frozen dessert at a summer party as long as you are prepared ahead about the way you plant to serve them. 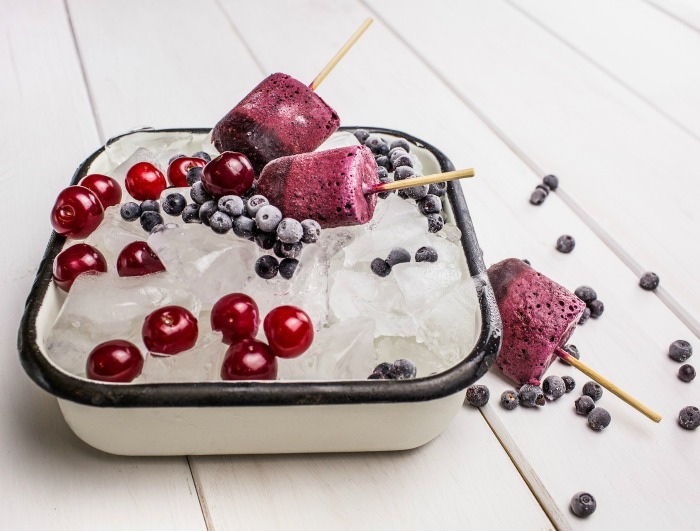 Use a large bucket of ice cubes or even dry ice to hold frozen desserts until they are eaten. You can position ice cream sandwiches, popsicles and other frozen sweets in the ice. The ice will keep them cold and should last long enough for the dessert session. Just put out a few treats at a time and replenish as the guest eat them. Be sure to check out my article for making popsicles at home. It gives lots of great tips. 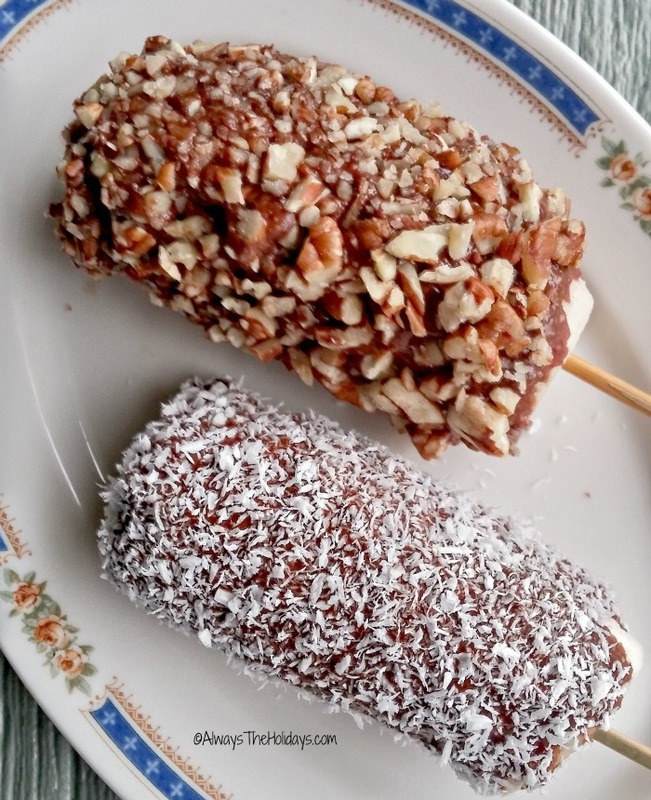 One of these cold dessert ideas will wow your party guests! Set the whole container of these yogurt parfait popsicles in the dry ice and refill as the guests gobble them up. This recipe uses fresh strawberries, raspberries and blueberries, along with Greek yogurt for a cooling summer snack. You would need to wrap these nutella frozen banana pops with plastic wraps to make sure the bugs didn’t get them but the ice would keep them frozen as long as they last. They’ll disappear in no time at all! More summer dessert table recipes. Still need some more inspiration? Try one of these tasty desserts that will take the heat. Do you have some ideas that will help to make your summer dessert table a hit with your guests and will make sure that the desserts can stand the heat? Please share them in the comments below. If you would like to be reminded of this post later, just pin this image to one of your Pinterest lifestyle boards for easy access when you host your outdoor party. 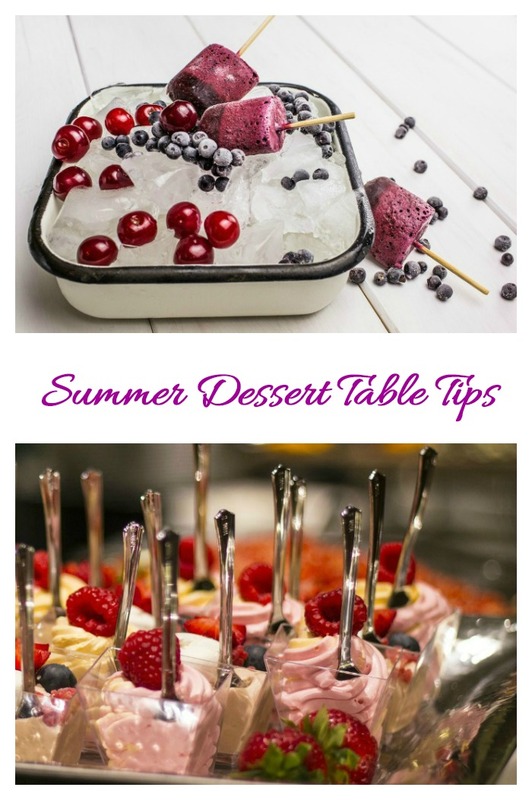 Admin Note: This post for summer dessert table tips first appeared on the blog in July of 2017. I’ve update it to add a video, new tips and new photos.